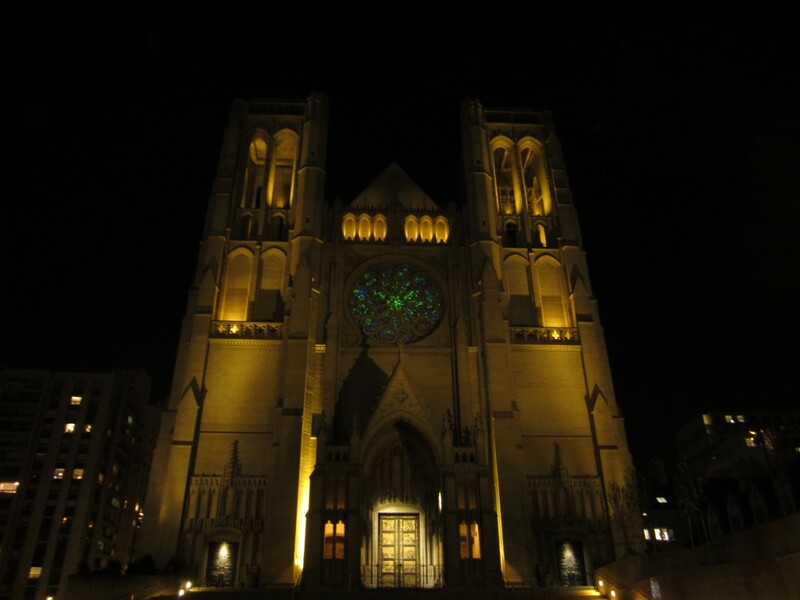 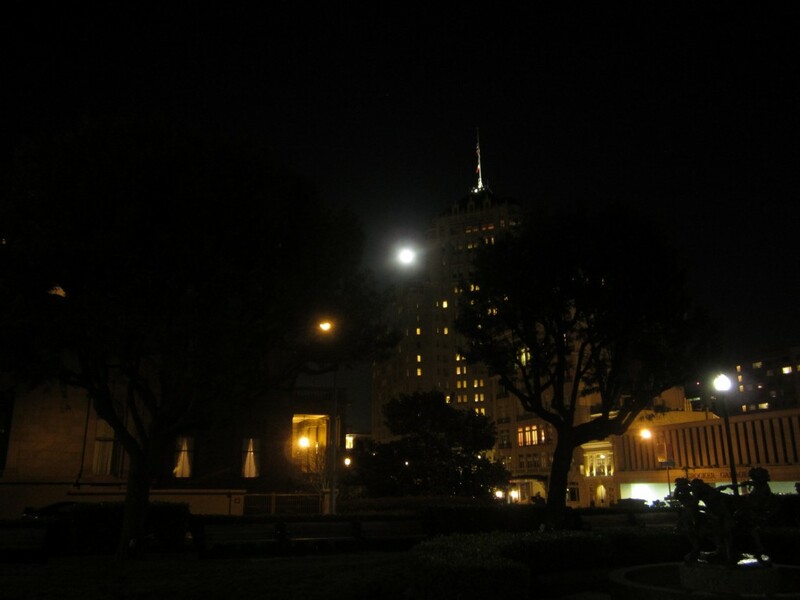 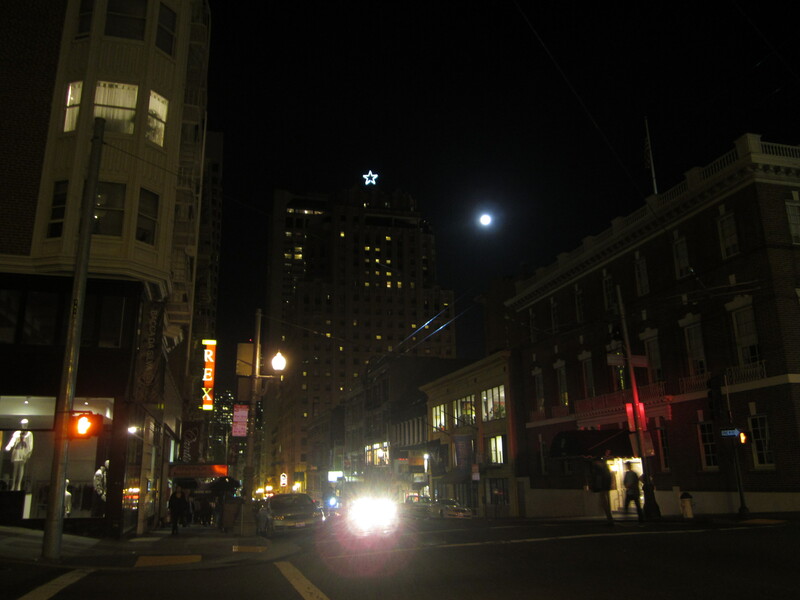 During the last full moon, Dean and I trekked up and down Nob Hill chasing the moon. 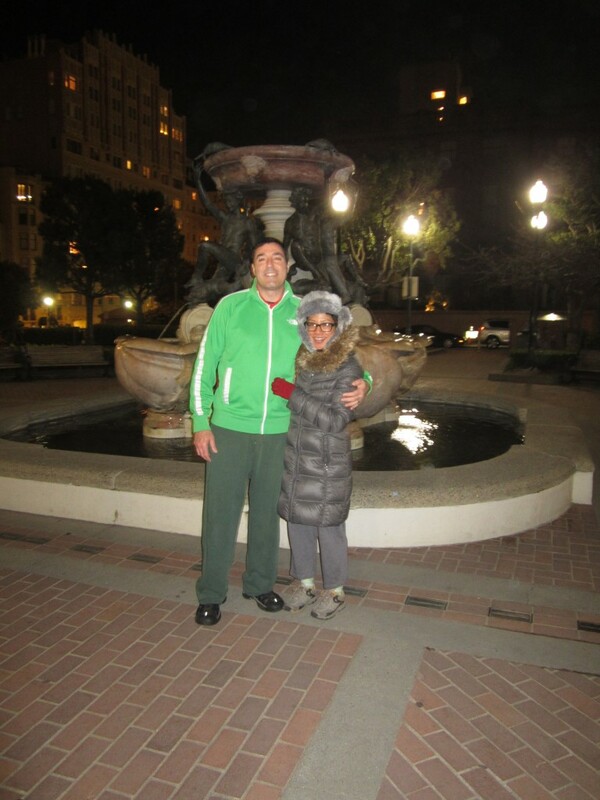 That’s me–the Eskimo in sweats and sneakers–with Dean at Huntington Park across from Grace Cathedral. 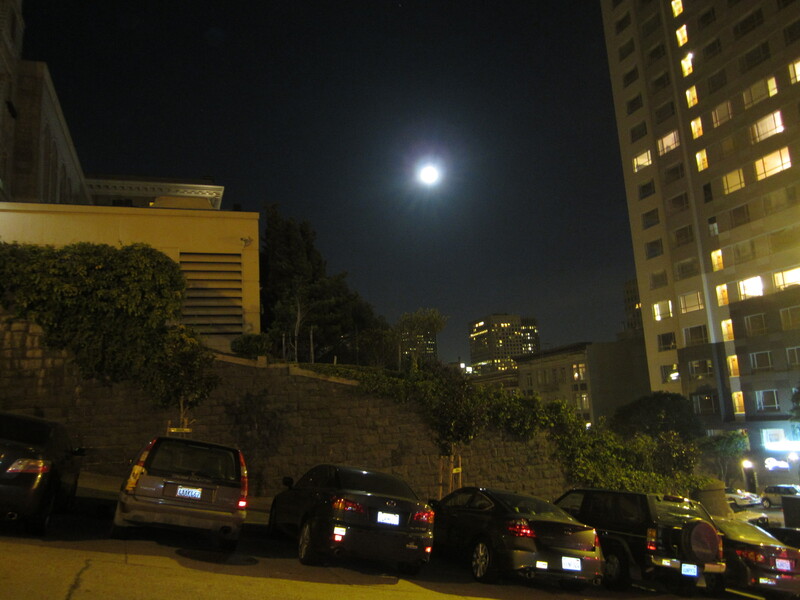 The Man in the Moon was hiding from us amongst all the high rises. 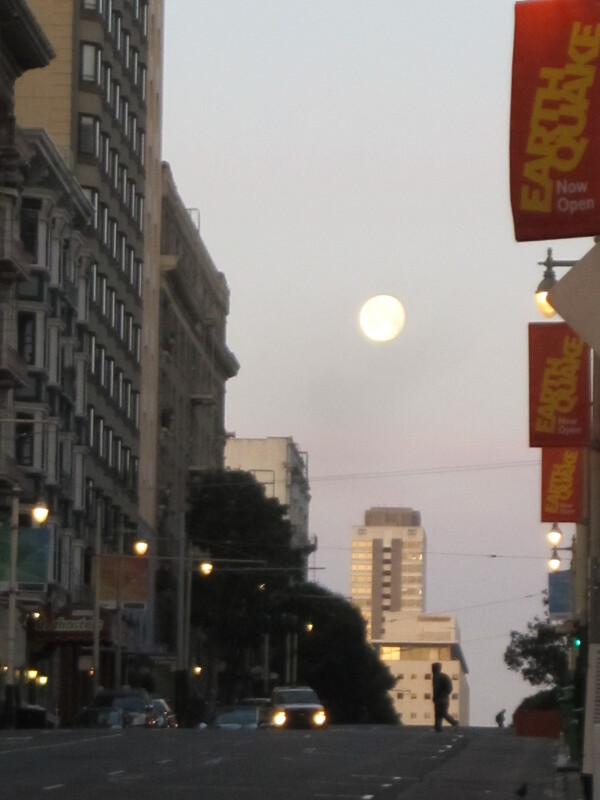 Could barely get in any good pictures. 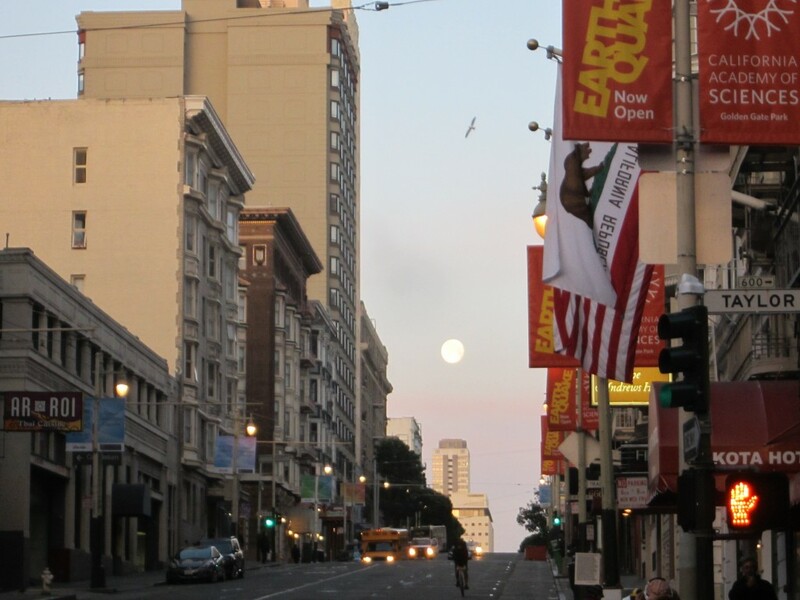 But then the next morning while I walked to the bus, what a sight to behold. 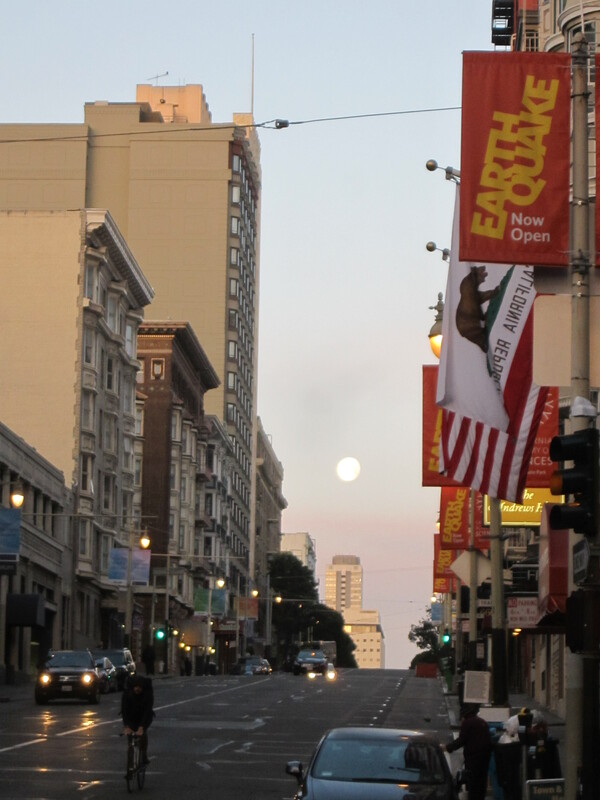 The moon, the moon!